Kickbox verifies your email addresses in HubSpot to ensure you only send email to real users and helps you separate the low-quality addresses from high-value contacts. Drag and drop your HubSpot contacts into Kickbox to quickly verify your email lists. Then, easily transfer them back into HubSpot so you can continue your email campaigns with increased confidence knowing you have only quality email addresses on your list. How might Marketing and Sales use this integration? You spend a lot of time building the perfect email campaign - don’t send it to a list that hasn’t been verified. 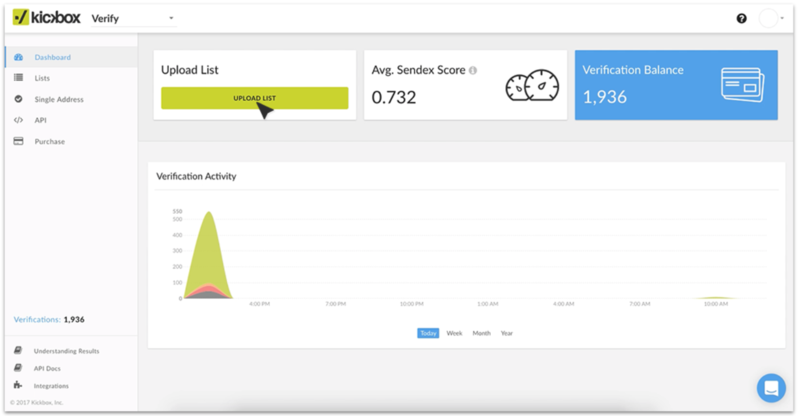 Help improve campaign performance, deliverability, open rates, and engagement by verifying your email addresses with Kickbox. Plus, weeding out bad email addresses saves your and your team time and money. Kickbox is offering a 10% discount to HubSpot customers - pricing and sign up information for Kickbox can be found here. Get started with Kickbox here.